Coretech Solar will do a free solar panel site assessment for your home. Call us on 01484 661 313 for a discussion with one of our technical team, or request a call back, for a time convenient for you. 1. 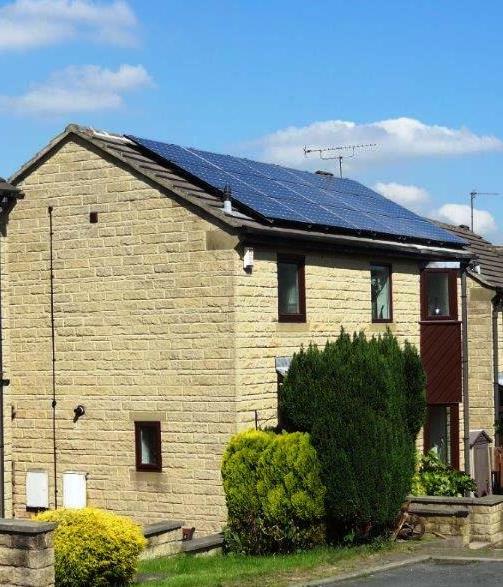 Look at your home and roof to see if solar PV will be suitable for you. The direction your roof faces. The angle of your roof and its suitability. The age of your roof, type and condition. The size of roof surface available. 2. Talk you through all the options available, costs and benefits of solar energy. This will then help us to design a system to suit you. Unlike many other solar panel companies, we will not send a sales person for your free solar panel site assessment. Instead a qualified electrician will carry out a quality, personal, site visit. Customer satisfaction is a priority at Coretech Solar and this starts with your first telephone call and is critical in your site assessment and subsequent meetings. 3. Once you have had your free solar panel site assessment, and we have obtained your agreement for a solar PV system at your property, we will then design and draw up a system to fulfil your requirements. This will be accompanied by a final quotation for all work to be carried out. 4.Once the system design and quote has been approved we will carry out the solar panel installation as quickly and efficiently as possible. We will ensure minimal disruption and fast connection to the grid. Coretech Solar project manage your installation to make it as painless and quick as possible. Registration of your installation on the MCS database within ten working days of commissioning your installation. Applying to your FIT Licensee (energy supplier) following their process and using their FIT application form. We will supply you with your MCS certificate and proof of ownership in the application. (The date your completed application is received by your FIT Licensee is the date you become eligible for FIT payments. Your FIT Licensee will therefore require an initial meter reading taken on this date). Once your FIT Licensee has all the information required, has carried out the application checks and has found that your installation is eligible, your details will be added to the Central FIT Register. Your energy supplier (FIT Licensee) will then provide you with your Statement of FIT Terms. Once you have agreed and signed these, payments can begin.